The unit is one of a range of digital communication trainers and provides all necessary inputs and connections for students to study signal sampling and reconstruction techniques. 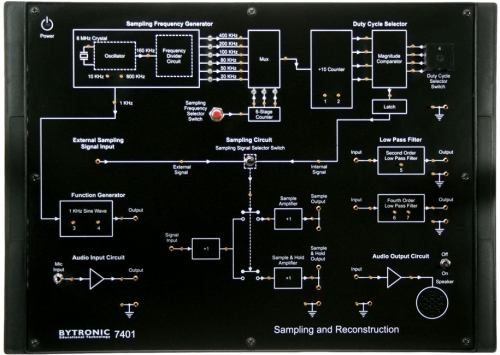 Sampling and reconstruction of signal. The effect of II order and IV order low pass filter on reconstructed signal. 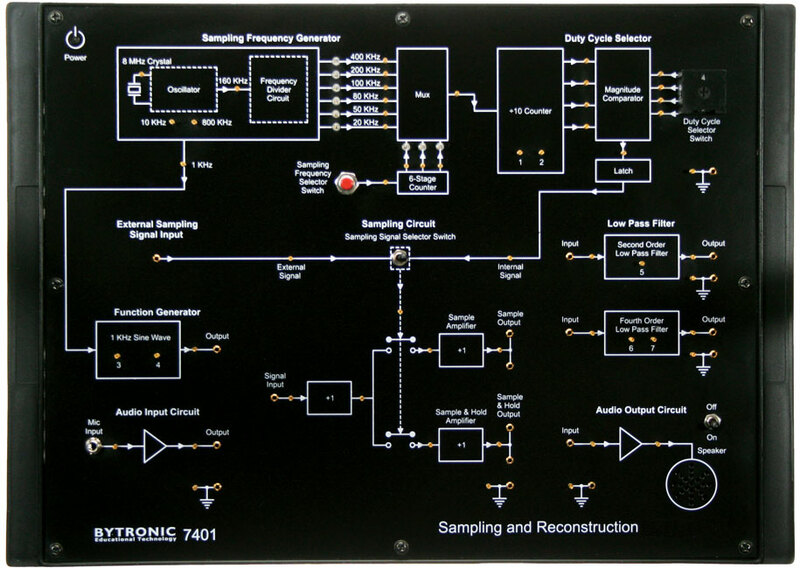 The effect of sample amplifier and sample and hold amplifier on reconstructed signal. The Nyquist criteria for sampling and reconstruction of signal. Effect of sampling pulse duty cycle on the reconstructed signal in sample and sample hold output. Comparison responses of 2nd order and 4th order LPFs.